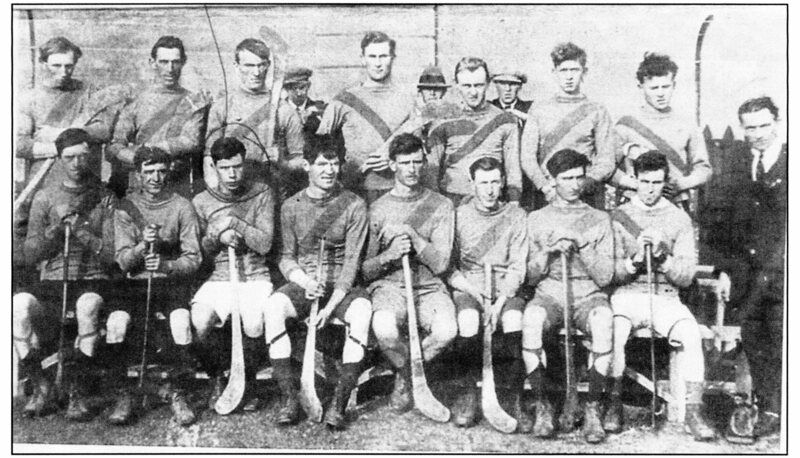 This was the Galway Hurling Team that played Dublin in Croke Park a week after Bloody Sunday 1920. The GAA were not to be intimidated by the actions of the British Forces the previous Sunday and Galway accepted Dublin’s invitation to play a game at headquarters to defy curfew and martial law. Back Row: Jim Power, Mick Kenny (Captain), Paddy O”Connor, Padraig Naughton, Ignatius Harney, Bernie Gibbs, James Shaughnessy.